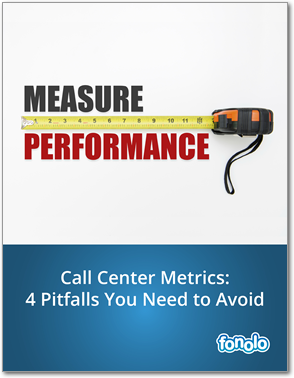 In the wide world of call center metrics, “service level” has always held a special place. It gives the industry a universally understood way to talk about how quickly calls are answered by agents. Its origins go back over 5 decades, to the earliest days of call centers. The longevity of service level is astonishing when one considers the enormous changes that have occurred in customer service technology over the last few decades. Even more astonishing is that most call centers would name the same target value for that metric: the magical “80/20”. Now – finally – this dominance may be fading. Contact centers are realizing more and more that adhering too closely to this one metric may not yield optimal results. First, a quick review of the definition: Service level is always given as a pair of numbers: a percentage value and a time value in seconds. 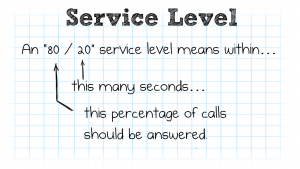 Thus, an “80/20″ service level means 80% of calls answered in 20 seconds. As mentioned above, that exact combination is considered by many to be an industry standard. The case against worshipping service level has been made by many contact center analysts and industry veterans. 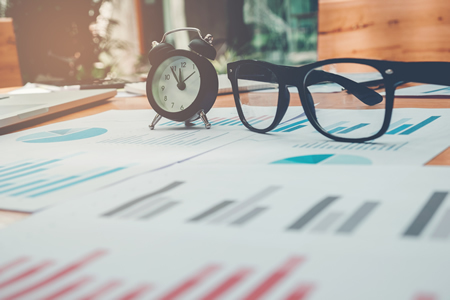 Most of the complaints boil down to the idea that, if too much attention is focused on optimizing for this metric, other facets of the call center can suffer. It seems call center managers are taking this advice to heart. 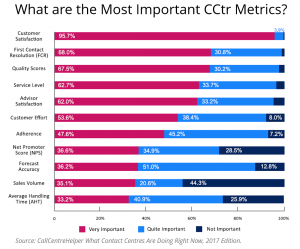 In a recent report by Call Centre Helper, the researchers asked participants to rank the importance of different metrics in their operation. Surprisingly, service level is in 4th place! Is an 80/20 Service Level Your Call Center’s North Star? To be clear, no one is saying that service level shouldn’t be measured, and that a target value shouldn’t be set. The advice here is against making that target your primary goal. To round out your perspective, you should also read some books that place the call center in the larger context of customer service. We published a list of 6 excellent books in that category here: Top Customer Experience Books You Need to Read.